Genre fusion is a good thing: it gives us awesome music, delicious food, and really creative, innovative game titles.Keri Racing for iPhone, developed by NEOWIZ Internet Corp., is definitely an example of fusion at its finest. 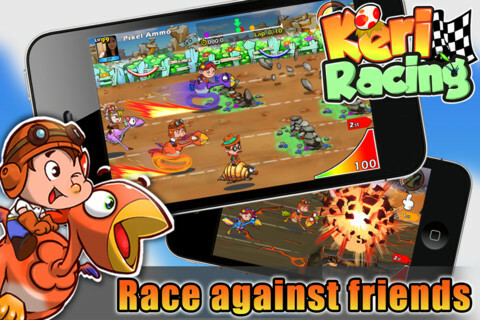 Keri Racing is an amalgam of all kinds of traditional game genres. 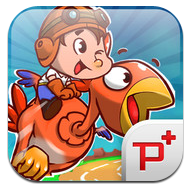 It draws elements from PvP racers, monster farming games, RPGs, farming sims, and tycoon games. And despite all those disparate elements, Keri Racing actually manages to turn these various gaming elements into a cohesive whole. You play as a cowboy or cowgirl who rescues a cute little creature called a Keri (which if you ask me, looks a heck of a lot like a chocobo from Final Fantasy.) After saving the Keri, you have to nurse it back to health and then train it to be a fast racer. Beyond the racing element of the game, there’s an RPG aspect as well. You can customize your Keri with all kinds of equipment, and you can even start a number of small businesses to increase your gold supply. 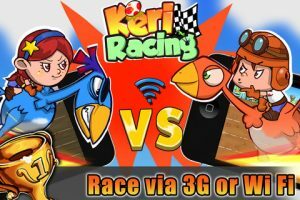 There’s a lot going on here, but rather than creating a jumbled mess, Keri Racing is addictive by virtue of having so many activities to pursue. With over 120 quests, 39 buildings, and all kinds of cool crops to grow on your ranch, Keri Racing offers tons of fun beyond just the racing element. 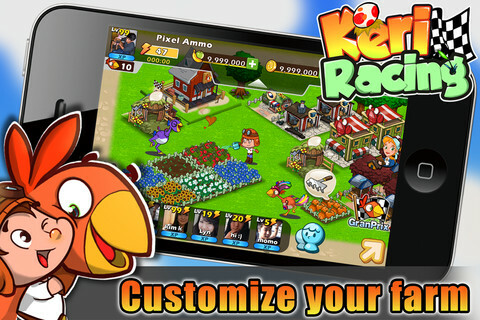 Race against friends in real time on your iPhone over 3G, 4G, or WiFi, or just focus on building up the best farm ever. Either way, you’re bound to have a great time. 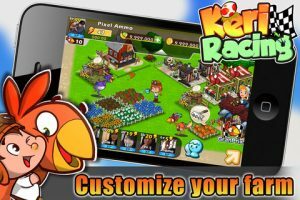 If you have any interest in iPhone racing games, farm sims, or tycoon games, Keri Racing is a unique gaming title that’s well worth a buck to check out. 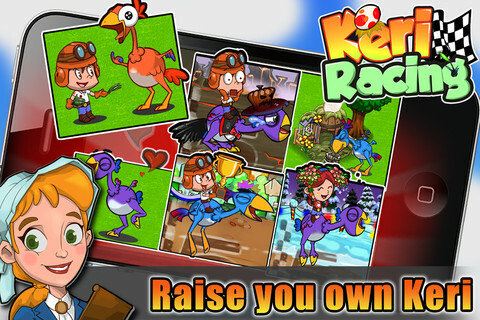 Keri Racingis compatible with iPhone, iPod touch, and iPad. Requires iOS 3.2 or later. A small expedite fee was paid by the developer to speed up the publication of this iPhone game review.